At the end of 10 minutes, check your word count. The number may be in the lower left-hand corner of your screen. Or you can copy paste your text into a website like wordcounter.net. If you are like most people you will have a number between 100 and 500 words. The average typing speed is about 300 words in 10 minutes in my experience. But the great news is, it doesn’t matter, we just need the number as a calibration tool. When we are in a state of flow and an email, or greeting card message, or short story is pouring out of us, the fastest we can type in an hour is 6 times this test result. This is your maximum words per hour. So for easy math we’ll say you typed 100 words in 10 minutes at your max speed, that means you will type 1,000 WPH when you are in a flow-state. Now reaching and maintain a flow state for an hour or more is certainly possible, but it’s not common. What I find is our authors can consistently maintain a flow of about 60% of their maximum capacity. I call this the Author Feeling State Scale. In this example an AFS of 1 would be 100 words in an hour and an AFS of 10 would be 1,000 words and hour. Here’s how the full scale looks. In a perfect world, for every hour you write, you would average 600 words if your max WPH was 1,000. How will this help you write when you don’t want to write, you ask? Well, here’s how it works. Let’s say you have a writing assignment that’s due to your editor, your boss or your teacher, and you just aren’t feeling it. You start to write and you have nothing to say. In that case you are at a 0 on the Author Feeling State scale and you have a choice. You can force yourself to write (I call this white-knuckling it) or you can set the timer for 15 minutes, remove yourself from all electronics, take some deep breaths and as you focus on your breath open yourself to the possibility your writer’s block is evaporating with each breath. Either option is perfectly fine. The key to this technique is choosing one option without judgement. What is the real obstacle to me writing in a state of flow? How is avoiding this helping me? What do I need to do to write faster and better right now? Then with your non-dominant hand, write the answer. See if you surprise yourself. Whatever the answers are, get back to writing. Write for at least 15 minutes and check in on your Max WPH again. Almost always after this exercise, there is a massive improvement in the author’s word count. If you choose the non-writing route, once you are done with your breathing exercise, start writing. write for at least 15 minutes and check your word count. If you are at 60% of your max WPH, keep going. If you are under 50% of your max WPH, do the non-dominant hand writing exercise above. It surprises me how many authors struggle and resist this technique because they are worried it is going to “waste” precious writing time when then are on a tight deadline, but it’s a completely ironic fear. If you can double your writing speed – which most people who use the technique do – you make up the lost time in just 15 minutes! And not only that, the words you write in flow tend to be infinitely more useable. 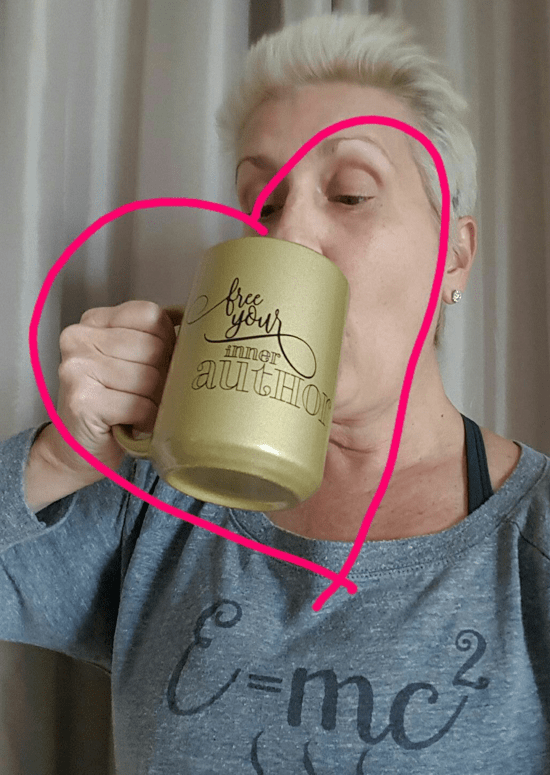 Normally, I use my weekly messages to inspire you about what’s possible for you and your unwritten book, but today as I was sitting down to write, I didn’t want to. I carve out a set time each week on my calendar to write a homily from the Church of Transformational Books and usually, that message is there. But today, it wasn’t! I used the technique I shared in this letter and was actually guided to share this with you. It’s my go-to tool to tap into writing flow when I have something to write on deadline and I’m not feeling it. I hope it helps you as much as it helps me! If you are feeling SO inspired you actually want to get started on your book, our current backlog of application is sitting at 320 right now. The authors we accept in the next few days will be the last to get their books done in 2018, so if you want to make this year the year you wrote your book, head over to www.TheAuthorIncubator.com/apply and give it all you’ve got. It looks like there are still 3 openings as of the time I’m writing this.